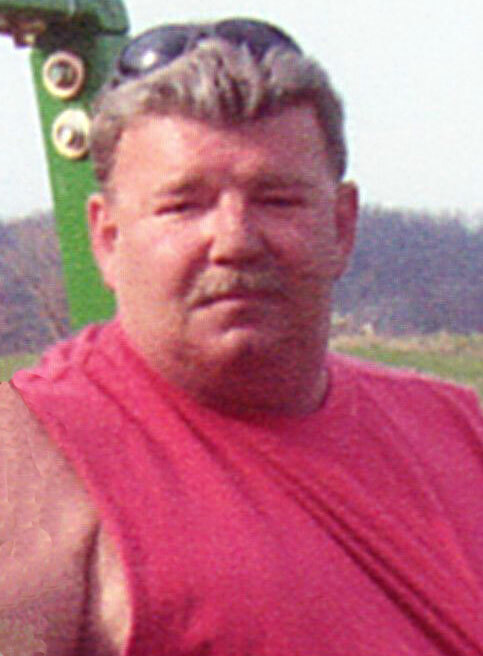 Roger D. “Pappy” Kougher, 55 of Richwood died Tuesday, April 15, 2014 at Riverside Methodist Hospital. He was born January 30, 1959 in Delaware to the late James Jacob and Mary Jean Kougher. Pappy was a loving father and grandfather, and was loved by all who knew him. He was full of life and was the type of person who would give you the shirt off his back and the last dollar in his wallet. A very hard worker, he loved the outdoors. He was an engineer for Union County for thirty years until he retired in 2010. He loved to hunt, fish and go camping. He enjoyed riding on his tractor and doing anything that kept him busy. He will be missed but always remembered. He is survived by a son, Roger Lee (Robin) Kougher, Brookville; a daughter, Brandi Kougher; grandchildren, Maya Doss (10); Savannah Turner (10); Kaydence Kougher (9); Kenzie Kougher (8); Samuel Doss (4); Gunner Kougher (2); Beau Kougher (4 months); his step-father, Lloyd Smith; two brothers, James (Dee) Kougher; Richard (Becky) Kougher; Rex Kougher and his daughter, Ashlyn; two sisters, Marilyn (Jim) Wilds; Kathy Brown; and all their families; a special cousin, Jaime Fields; close friends, Nate, Marie and DJ Hughes; Ronnie and Dani Phillips; Jessie Brady; Brandon Rich; Robbie and Megan Harris; Brian and Alyssa Woods; Josh Blue; Brenda and Doug Morsey and many others, as well as aunts, uncles, nieces, nephews and cousins who loved him very much. A celebration of life will be May 10, 2014 from 3:00 PM until midnight at the VFW in Richwood. Children are welcome and all are invited to bring a covered dish or dessert and come eat, drink and remember Roger. Memorial gifts may be made to the Trust for Roger D. Kougher’s Grandchildren c/o Fifth Third Bank, 430 N. Wolf Creek Street, Brookville, OH 45309. So sorry to hear about Your loss. Prayer and Thoughts will be with you..
Im sorry for the loss of Roger..He always treated me so kindly and really had a wonderful sense of humor. I pray that all of you may find peace. Roger was a student of my first class years ago. I was so proud of him. I want to send my thoughts and prayers to his family. May your hearts be healed with blessed memories.